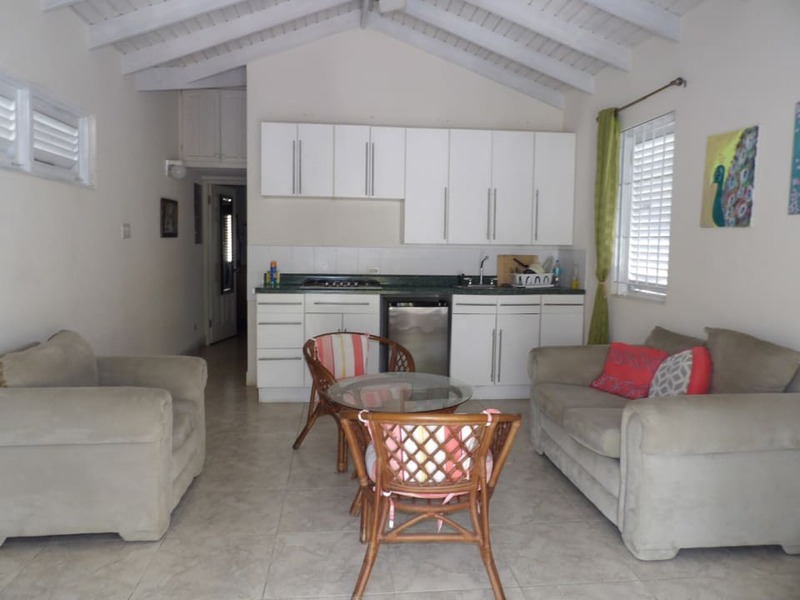 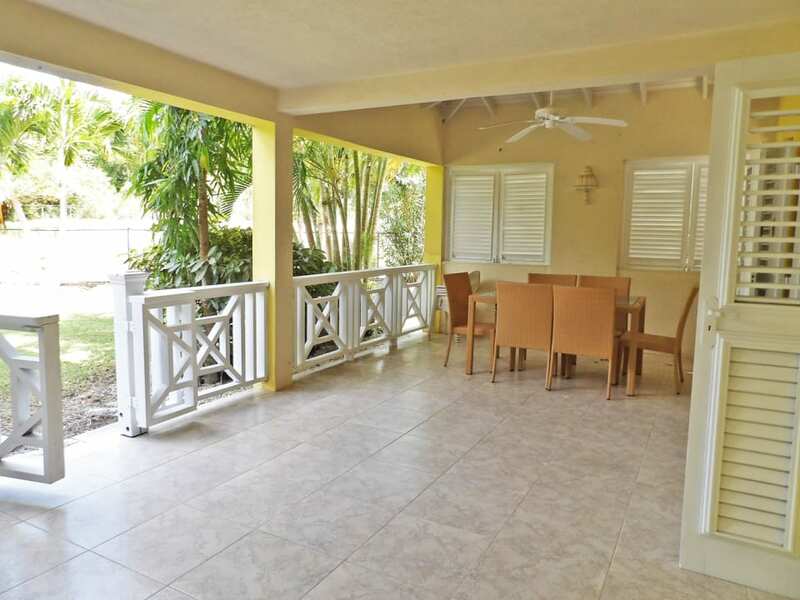 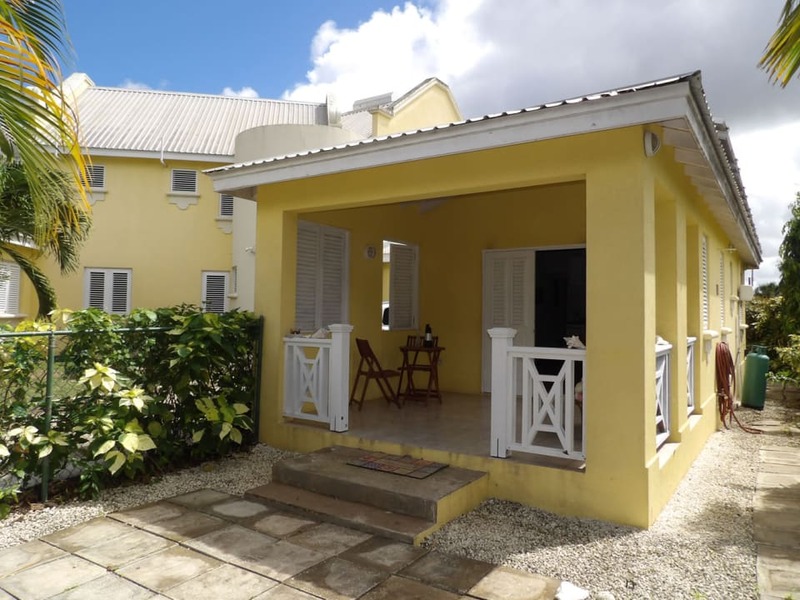 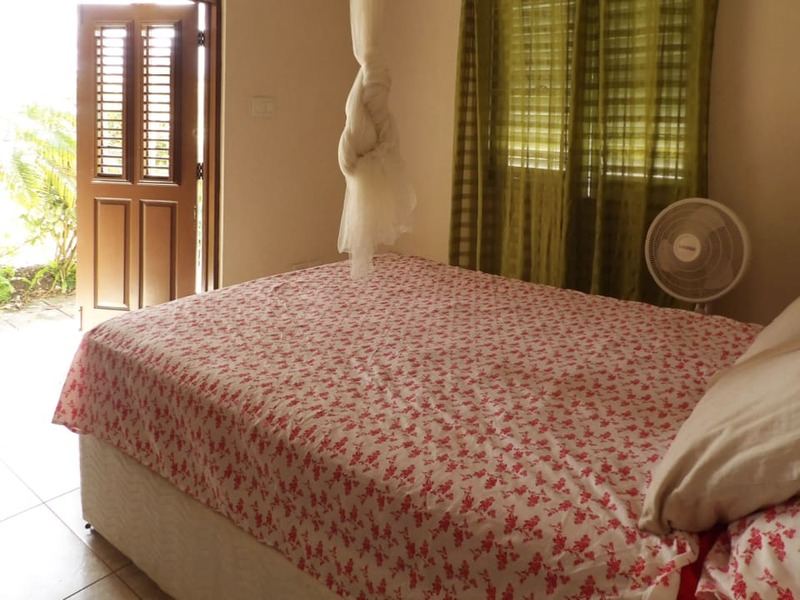 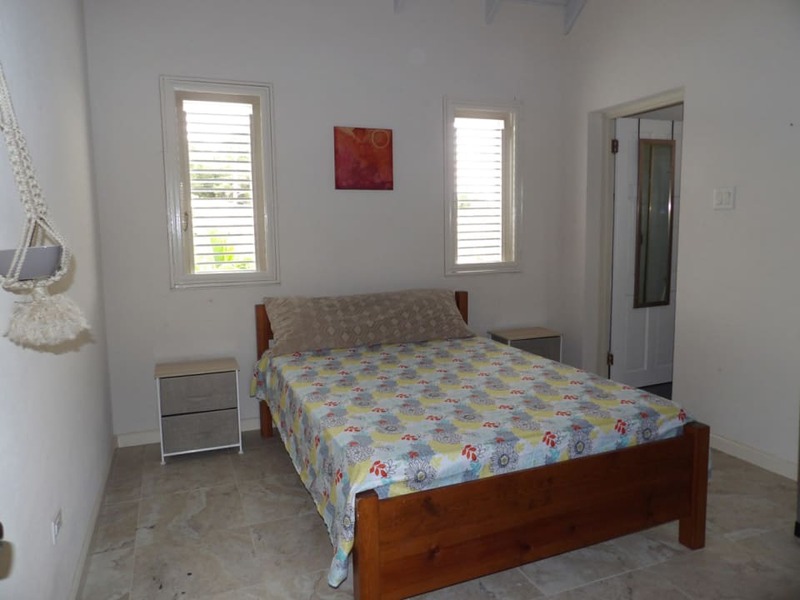 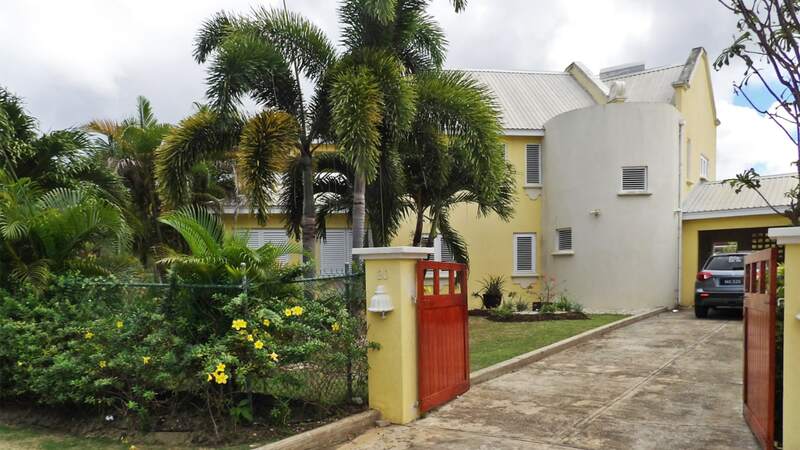 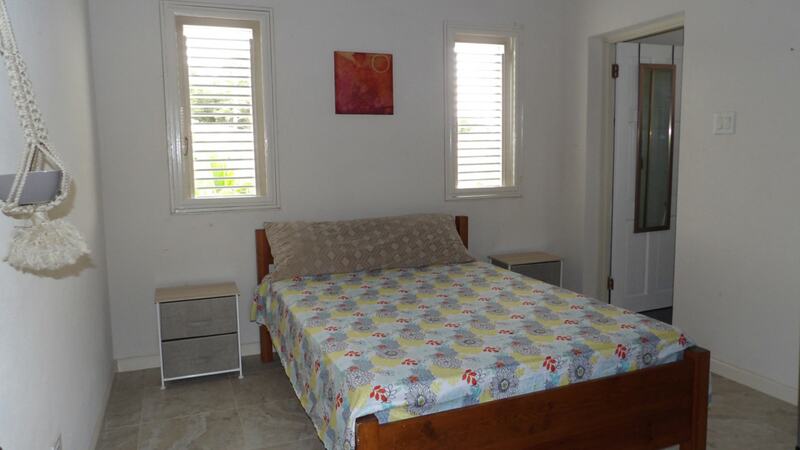 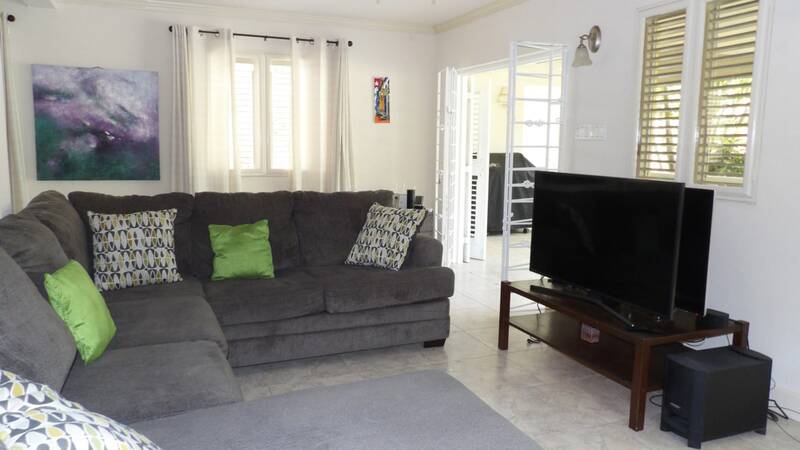 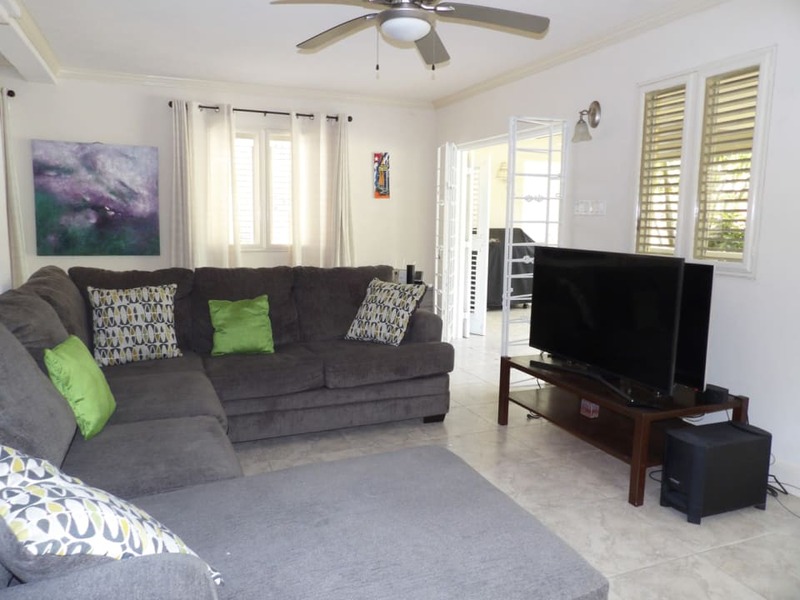 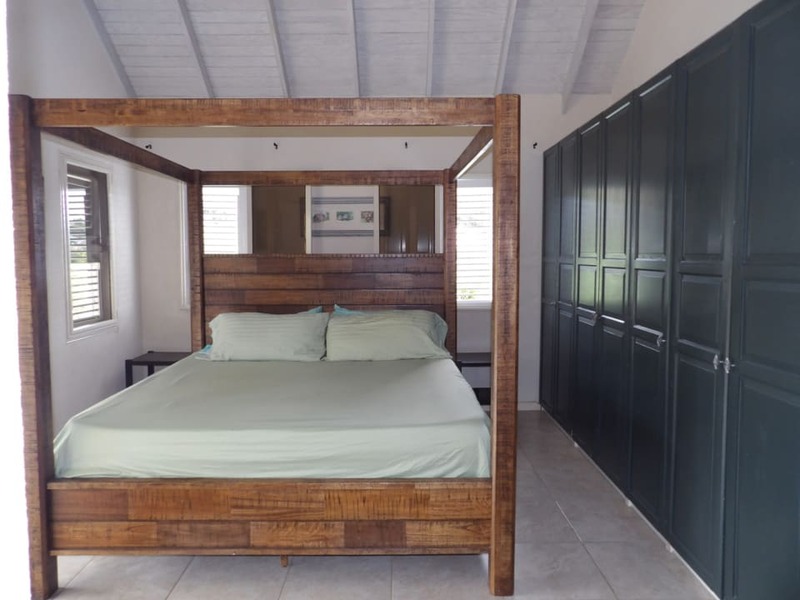 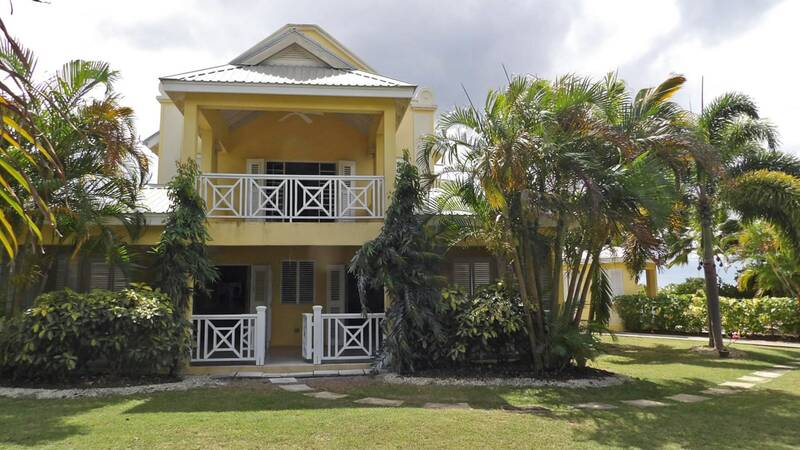 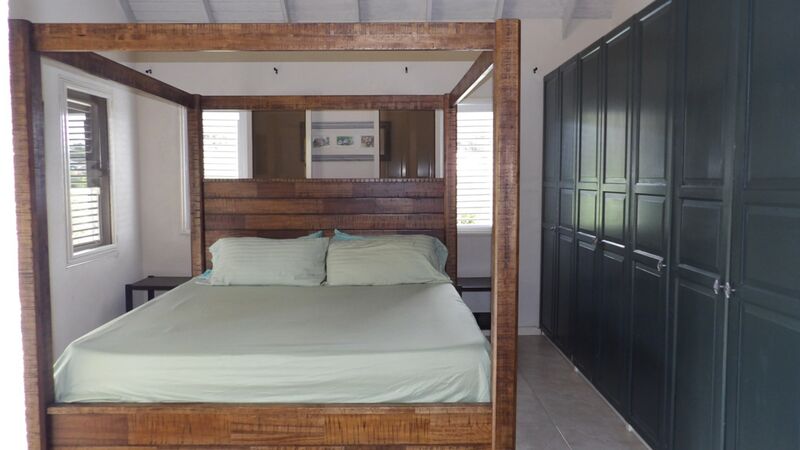 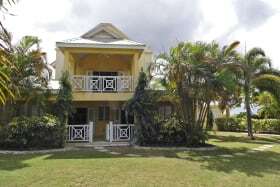 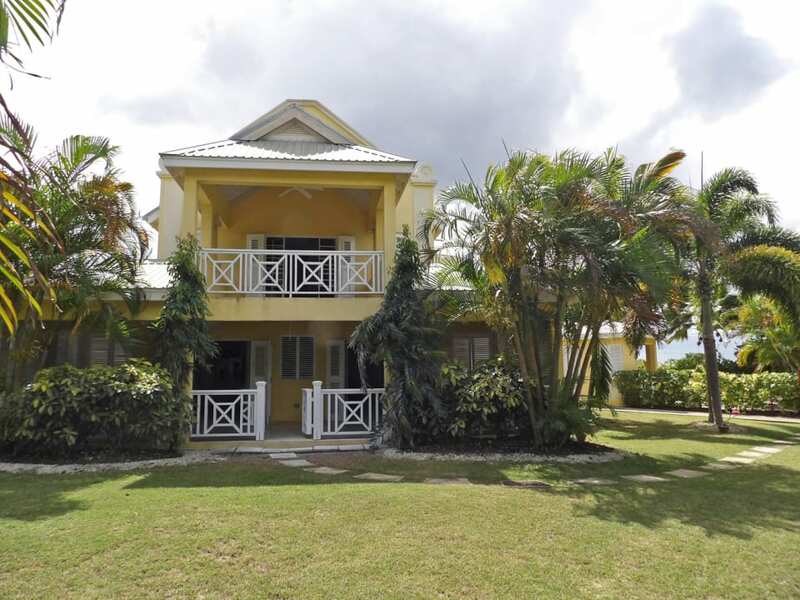 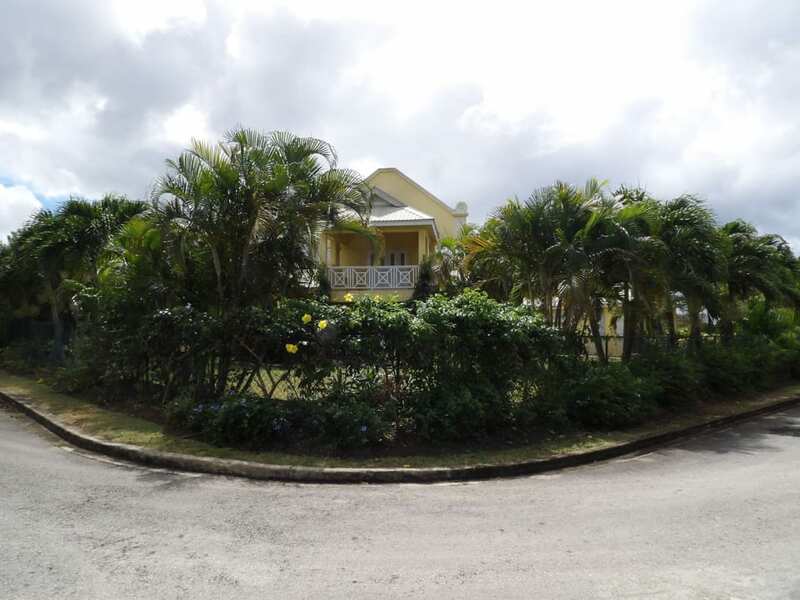 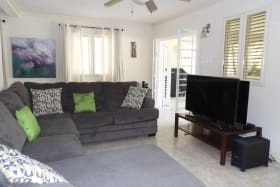 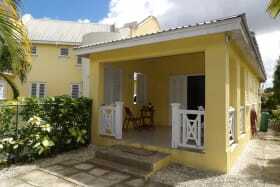 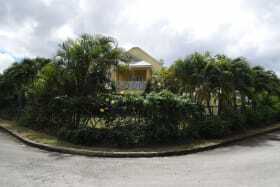 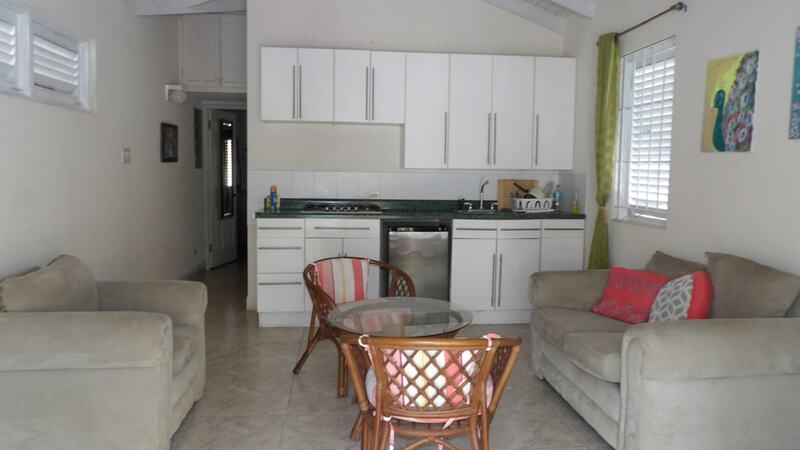 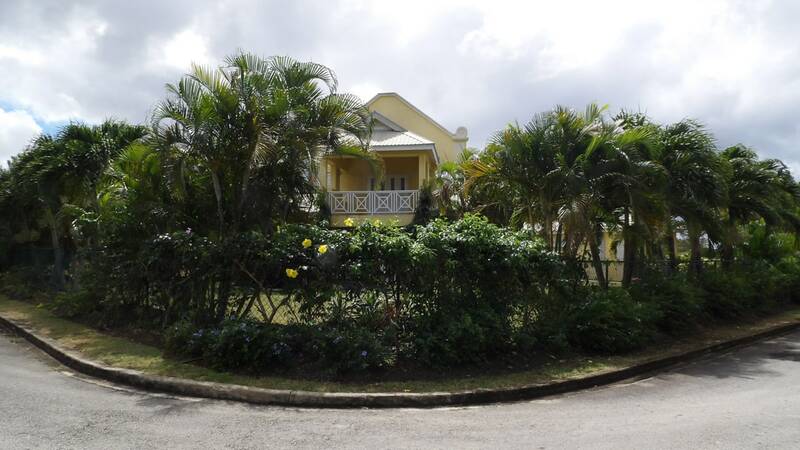 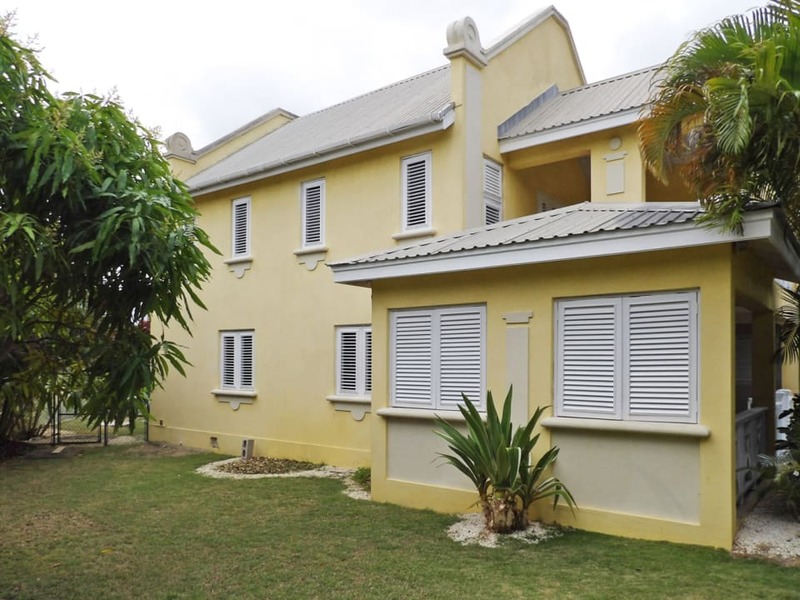 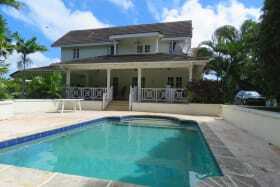 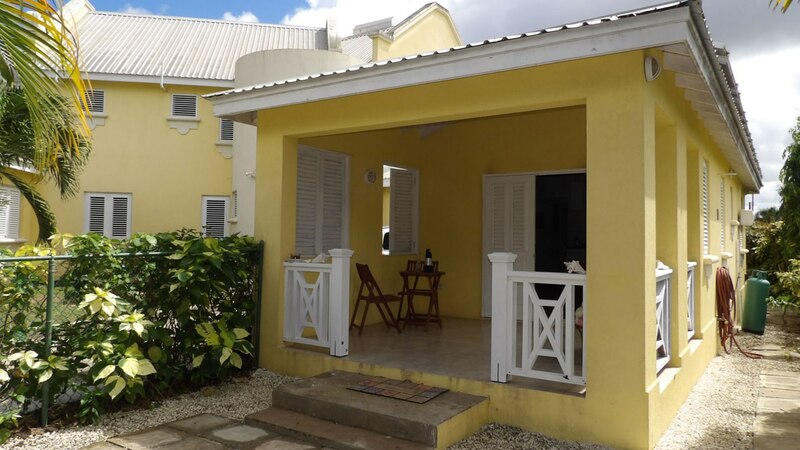 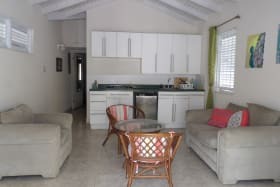 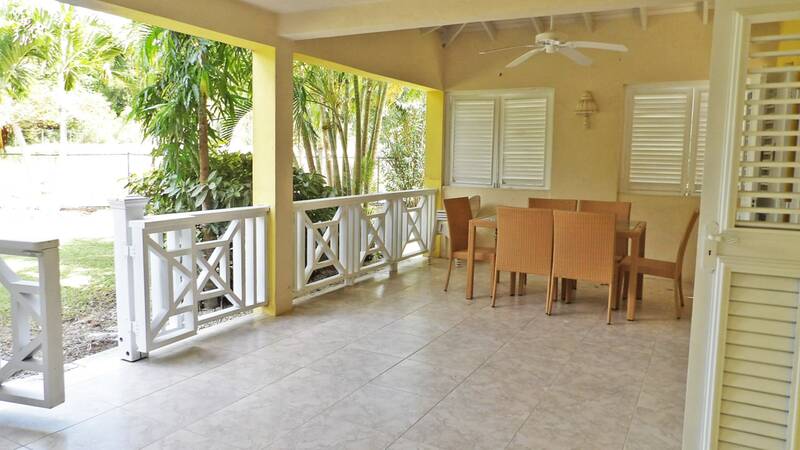 The subject property is a 3-bed/2.5-bath residence with an attached self contained 1 bedroom 1 bathroom apartment. 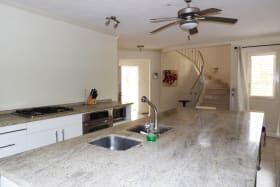 The structure is of concrete build with permaclad roof over pickled pine closeboard ceilings. 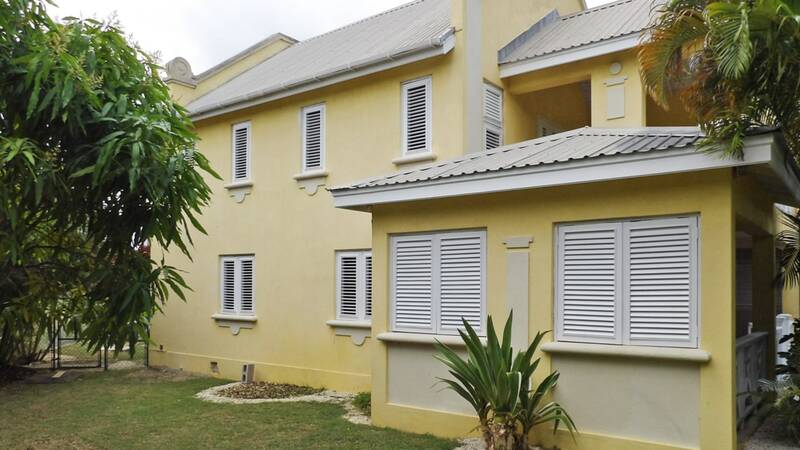 Windows are wooden awning with wooden louvres and burglar bars. 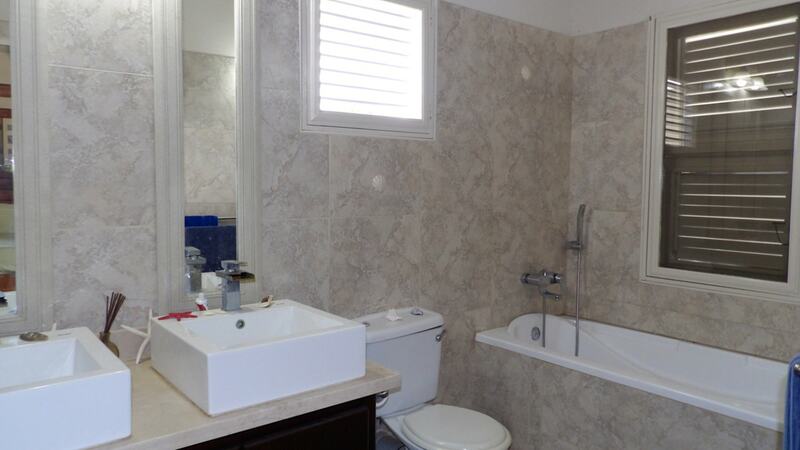 Walls are finished with trowel plastic both on the interior and exterior. 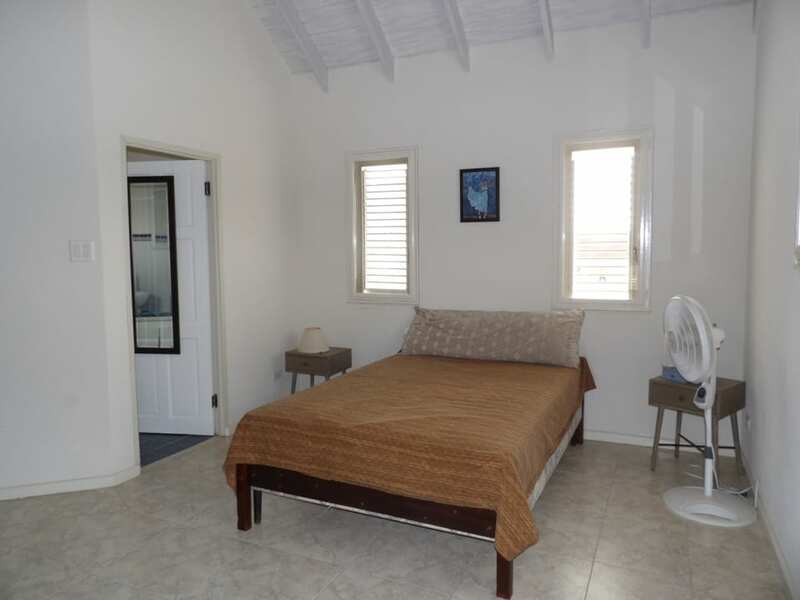 The interior of the residence also features ceramic floor tiles and ceiling fans throughout. 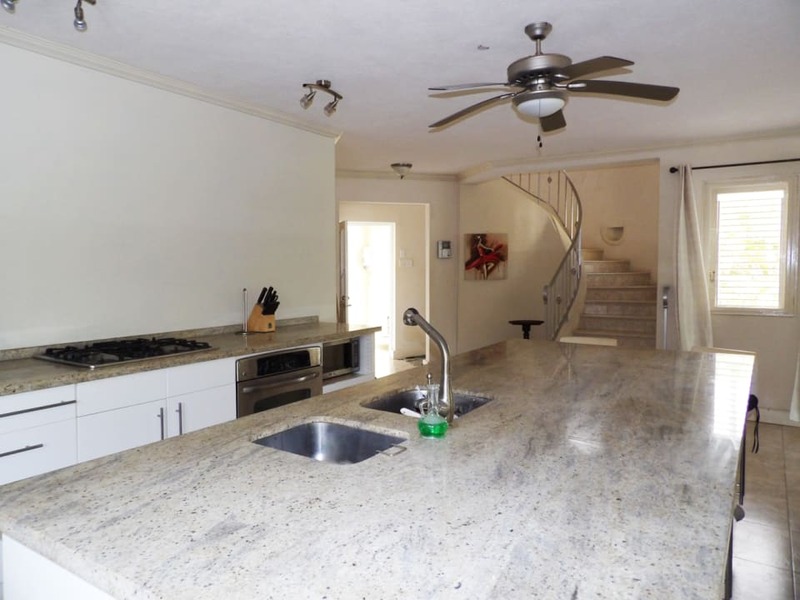 The ground floor plan comprises an open plan living area and kitchen with granite counters and built-in appliances. 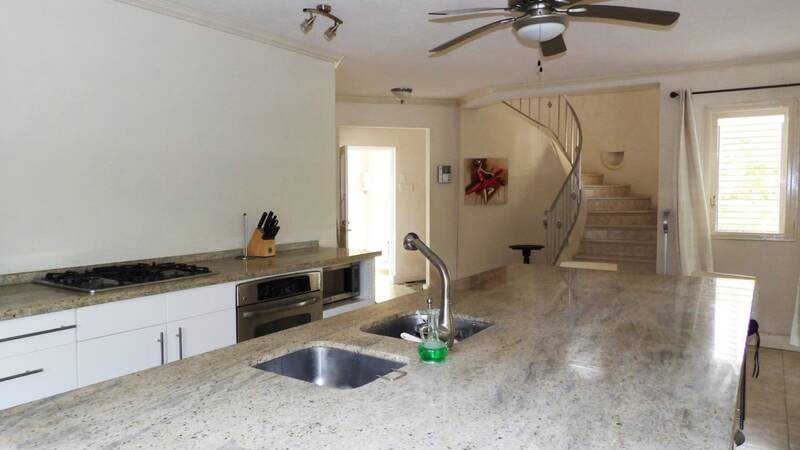 Off the kitchen is a powder room, laundry room and study. 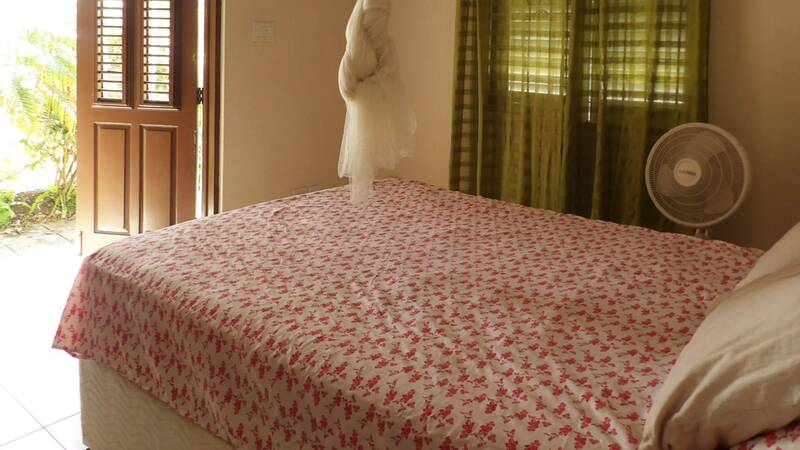 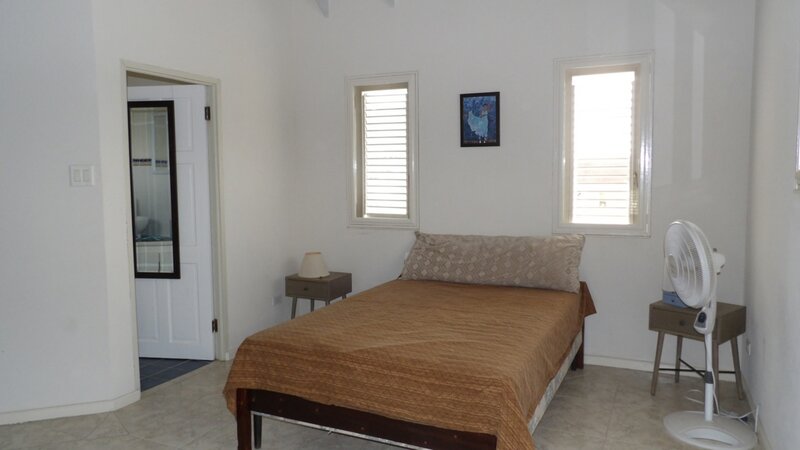 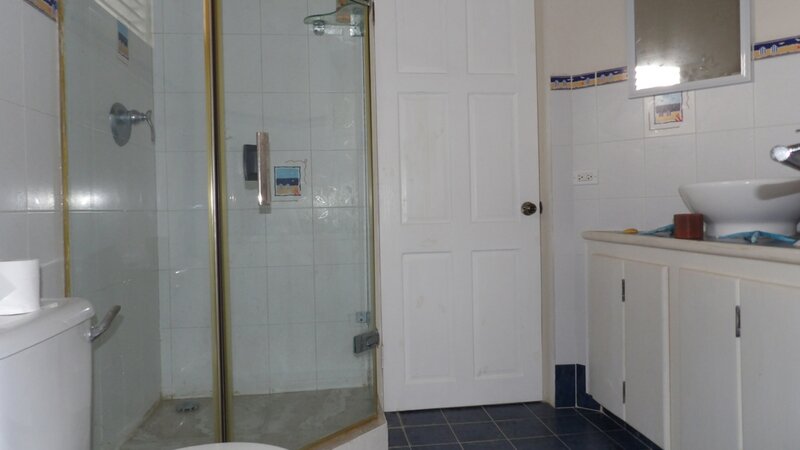 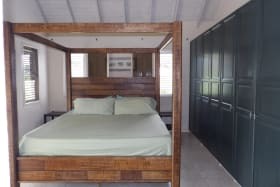 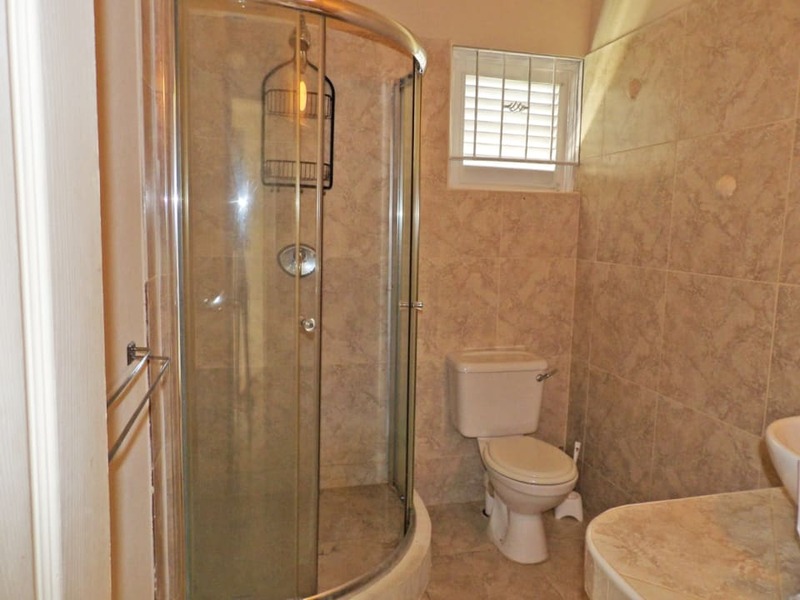 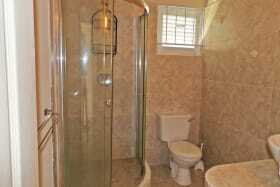 The bedrooms and bathrooms are located on the upper level. 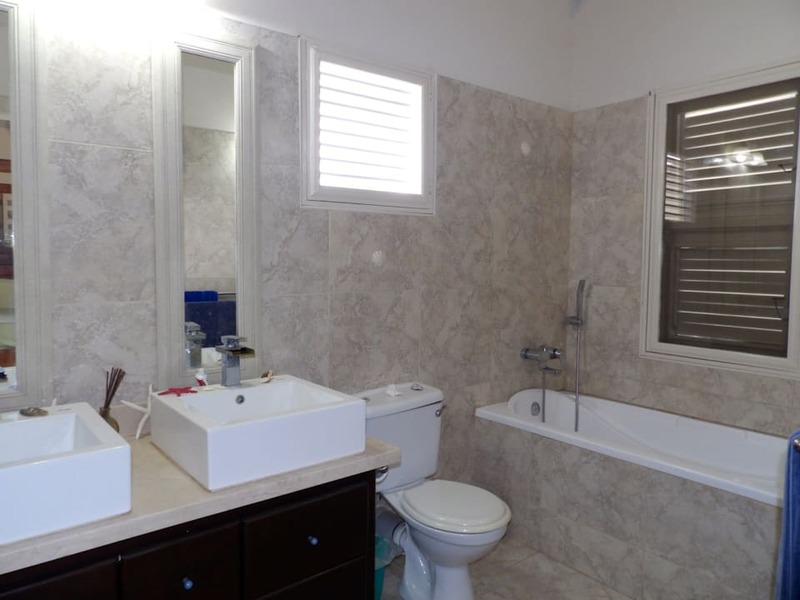 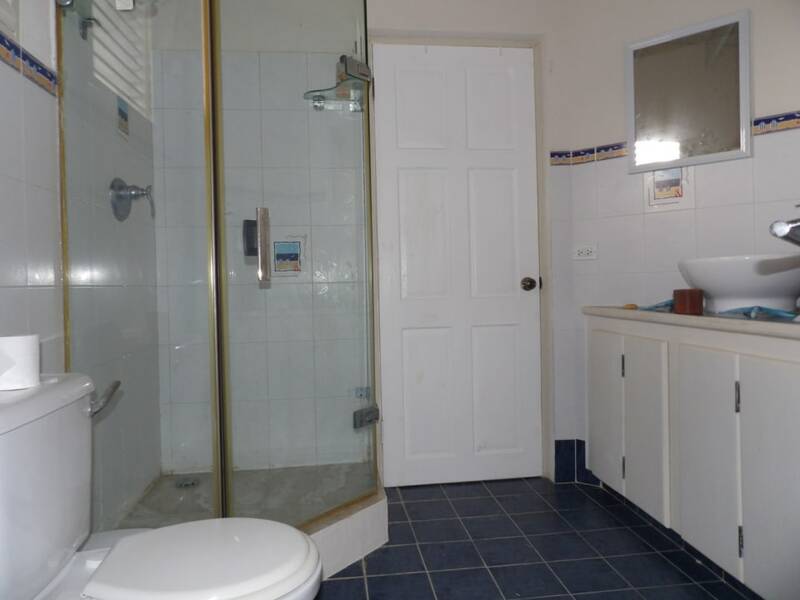 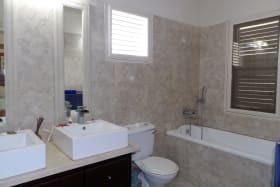 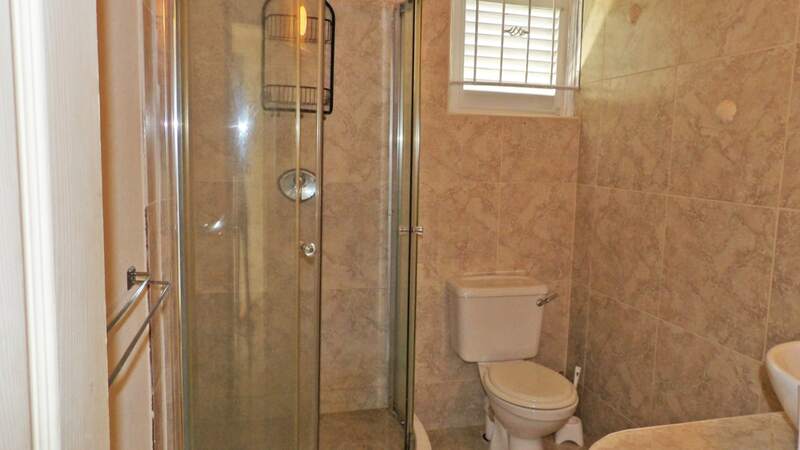 Two bedrooms are connected by a bathroom with ceramic tiled vanity. 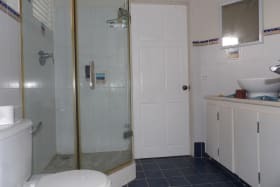 The master bedroom features an en suite bathroom with granite counter, a patio and is the only one with built-in closets. 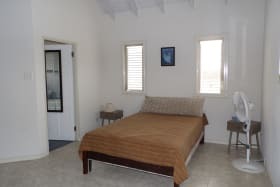 The self contained apartment is connected to the main house by the carport. 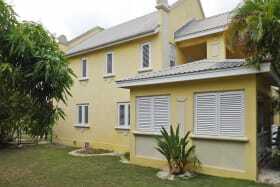 It is accessed and fenced separately from the main house and has similar finishes. 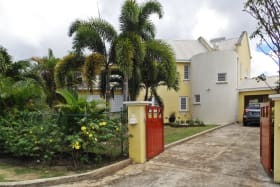 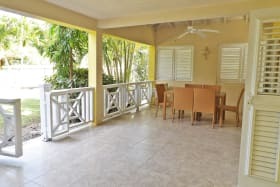 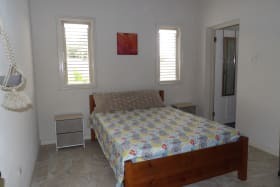 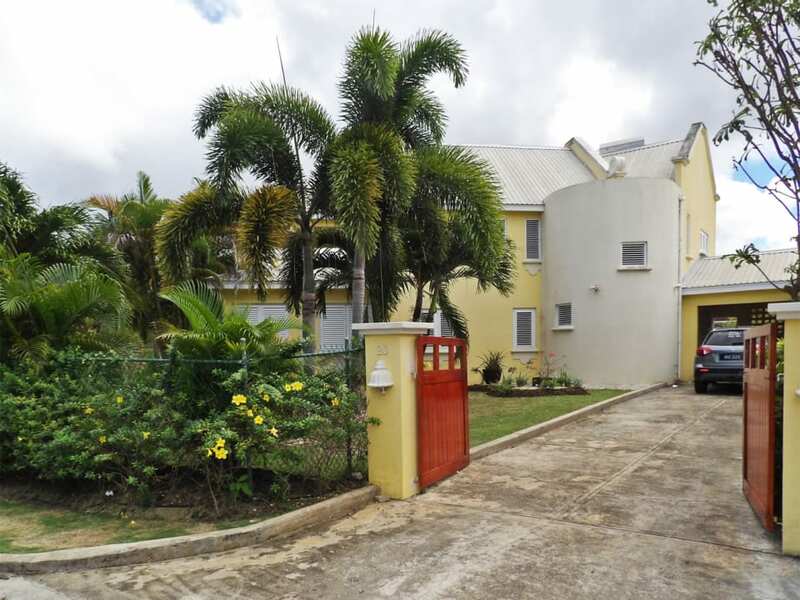 The property was completed in November 2008, It has a functional layout, 3Kw photovoltaic panel system and the gardens are very well maintained.